I love these. 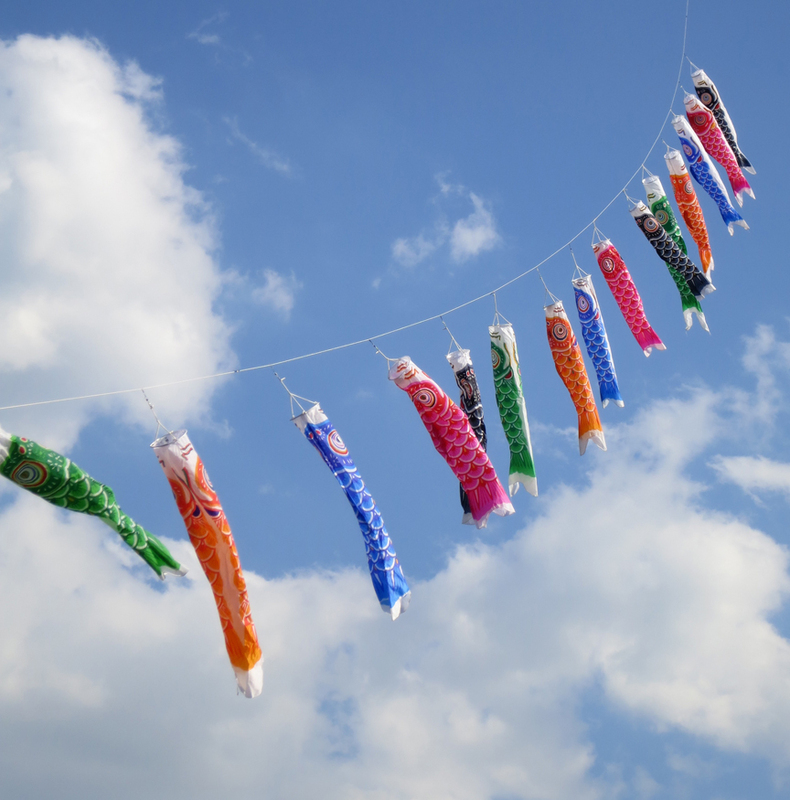 Every year on May 5, families fly koi nobori outside their houses as a sort of prayer that their sons will become like the carp that climbed the waterfall to become a dragon. These fish flags always cheer me up, but this year for some reason the public displays are particularly exuberant! 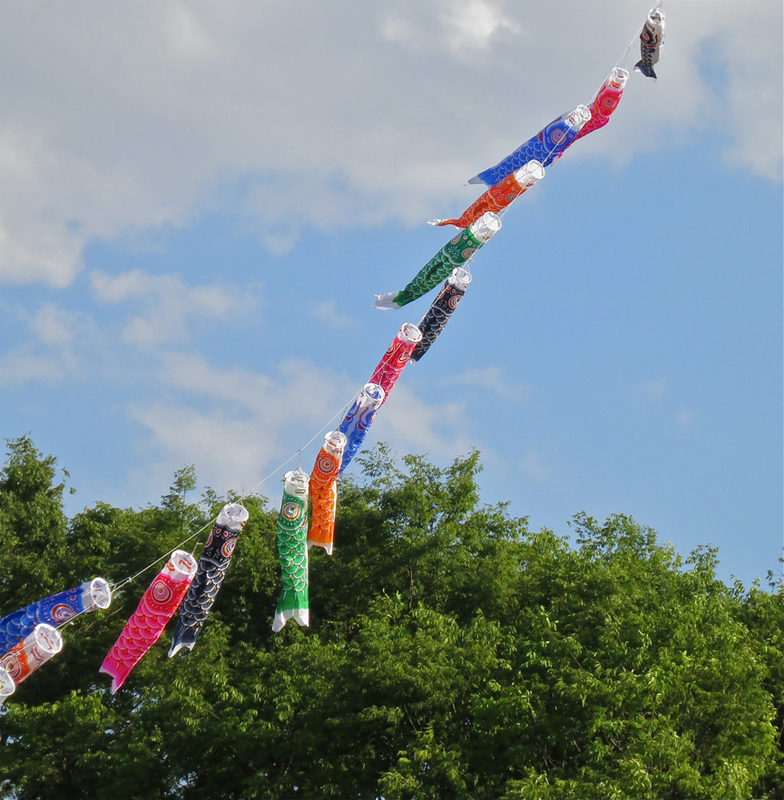 A man at Yoyogi Park was flying a kite with koi nobori hanging from the string! These were flying outside Tokyo Tower (I’m telling you in case you missed the orange, larger-than-life, Eiffel replica in the background). 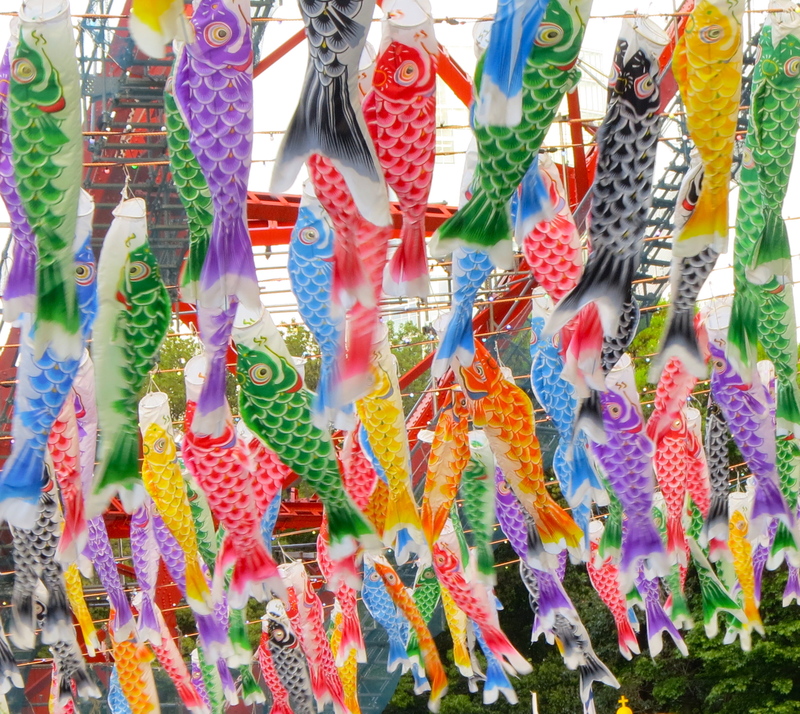 “Koi nobori” = climbing carp. Literally! 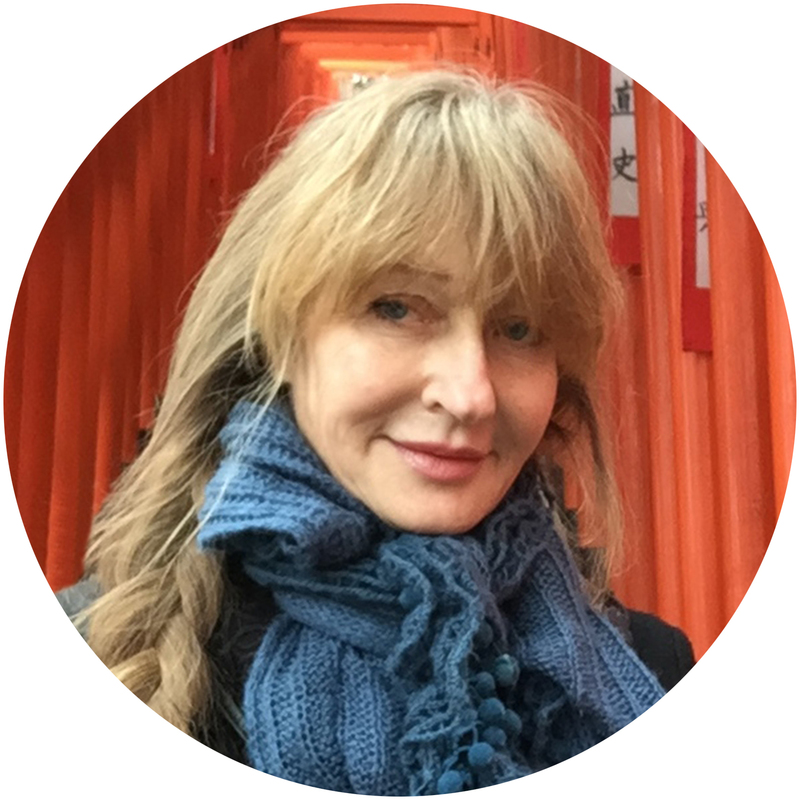 If you’d like to see Tokyo Tower or go to Yoyogi Park the next time You’re in Tokyo, directions and maps are on my website, The Tokyo Guide I Wish I’d Had. I hope that SECRETLY their daughters climb the waterfall, behind everyone’s backs. Heh, they did change the name of the May 5 holiday to “Children’s Day” from “Boys’ Day” but the customs are stubbornly still pretty boy-specific. Girls get their day on March 3, but the doll festival customs are rather short on wishing for warrior-like achievement. 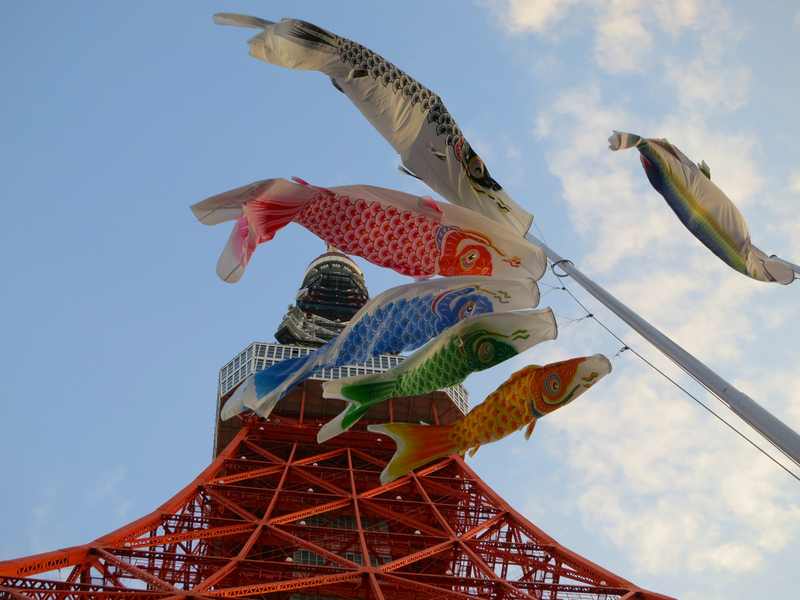 Pingback: Asakusa-bashi | Let's Go To Tokyo!